Dominik Kahun had two goals and an assist, Cam Ward made 43 saves and the Blackhawks beat the Detroit Red Wings 5-2 on Sunday for their seventh straight win. 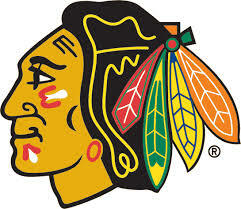 The Blackhawks visit the Boston Bruins on Tuesday night. Vladimir Tarasenko completed a hat trick by scoring 16 seconds into overtime, and the Blues held off the Nashville Predators 5-4 on Sunday, stretching their streak to a season-best six games. Alex Pietrangelo and Tyler Bozak each scored a goal. O'Reilly and Jay Bouwmeester had two assists apiece for the Blues. Nashville had tied it with a pair of goals over the first 6:10 of the third period, and it was Tarasenko who put the Blues ahead. He got the benefit of a bounce to beat Saros at 7:06 for a 4-3 lead. Forsberg tied it up for Nashville at 12:53, and Tarasenko, who nearly scored within the final 80 seconds of regulation, could not be stopped in overtime. 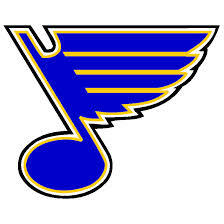 The Blues host New Jersey on Tuesday night.